I'm kicking this week off right by revisiting a palette that I just can't get enough of. Yep, you guessed it. It's a pretty mint palette. But this time I incorporated vintage inspired details including this gorgeous lace dress, and this stunning chandelier. Oh, and can we all just take a look at these super cute bow heels? Yeah, those babies had me at hello. Confession: Some days I totally wish I could redo our wedding and fill it all kinds of pretty mint details. Because, guys. Can you blame me? I've become totally mint obsessed. And for good reason. It's just so easy on the eyes. And it mixes well with all kinds of motifs and metallics. I love to see it paired with gold, like I've done here. And what's best is that this palette totally works for any season! So what do you think? Am I alone here? Or does anyone else love mint as much as I do? 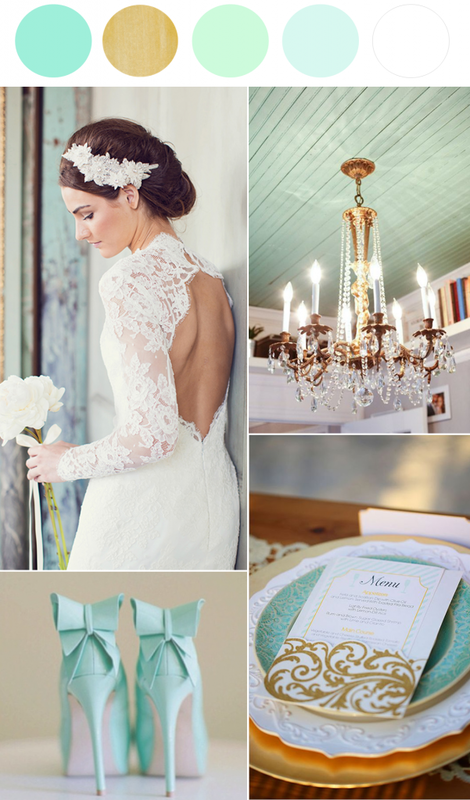 16 Comments " Mint Wedding Ideas | Vintage Inspired Details "
A perfectly curated board, as always. Who else is loving that wedding gown backs are taking center stage with romantic designs? Gorgeous! Love that dress and the vintage feel of the chandelier. Adore those mint shoes. Mint is always a perfect hue! You're not the only one with mint on your mind apparently, lol. Love the vintage touches! Look at how cute those shoes are! Such a lovely, soothing color - and definitely perfect for spring & summer! Modern Meadow, the outfit gucci replica started by University of Missouri researcher Forgacs, plans to add an even stranger chanel replica wrinkle to the synthetic meat concept. The company envisions using a 3-D printer to spray successive layers of "bio-ink" composed of muscle cells to build fake steak or hamburger replica handbags. Department of Agriculture]. Americans have been watching rolex replica television since the late 1940s. audiences at the World's Fair in 1939, the war interrupted, and it wasn't until 1948 rolex submariner replica that the television model we know was popularized with the first hit show louis vuitton outlet, Milton Berle's "Texaco Star Theater." Those bow heels? Yes please!! omg I need those shoes.. how do I find them? ?